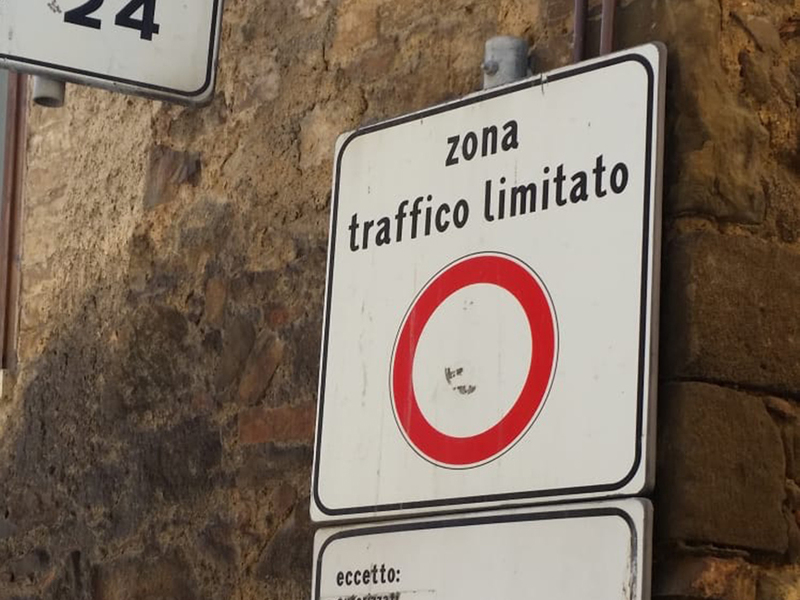 Above: a typical “zona traffico limitato” or “restricted traffic area” sign in Montalcino (photo by my good friend Laura Gray of Il Palazzone, producer of Brunello di Montalcino). In some of the bigger cities, the zones are demarcated by LED signs that read “ZTL” (acronym for “zona traffico limitato”). Monday’s post on driving in Italy (“Italy driving tips: speeding tickets, tolls, international driver’s permit, Waze, DUIs, wi-fi, etc.”) generated a lot of engagement on social media. 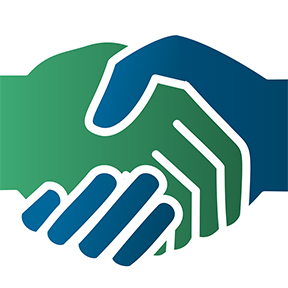 I’m glad that folks have found it useful and I appreciate all the feedback and input. A friend from my La Jolla High School days, Adriana, left a great comment on the post with tips on city driving in Italy (she lives and teaches English in Bologna where she and her husband have raised their lovely family). It’s chock-full of good intel. A lot of folks on social media also shared horror stories about receiving tickets after inadvertently entering a “zona traffico limitato” or “restricted traffic area” in a city center. The “zona traffico limitato” or “ZTL” is a delimited area within an urban center where only residents and authorized drivers are allowed to travel by car. They are monitored by cameras that report offenders to authorities. The fines can be steep and are often compounded by rental car processing fees and late fees for those who don’t pay on time (depending on the city, the office issuing the ticket may or may not be lenient with foreigners who only receive the ticket after the deadline to pay has passed). There’s a lot of useful information on the internets about the dreaded ZTL. This post by Auto Europe (rental car agency) is one of the best and it includes excellent maps. It came to my attention via another really useful post by Italy Beyond the Obvious. I wasn’t surprised to learn that Siena claims to have been the first Italian city to implement a ZTL back in the 1960s. The bottomline: don’t drive into city centers in Italy. Park in paid parking lot on the edge of the city (every city, including Siena and Florence have them) and then walk or take public transportation (a fat cab fare is always better than the cost and hassle of a ticket). For my last night in Italy earlier this month, I had planned to meet my dissertation advisor, the Milanese poet Luigi Ballerini (more on that later), at his home in downtown Milan. I took my rental car back to the airport and then took a 30-minute-or-so train ride from the airport to the city center. No stress, no worries about parking, and I caught up on email on the train. My advice is avoid city driving, especially when you visit the smaller urban centers, like Parma or Siena, for example. Take the train, a bus, or a taxi into to town. Removing that layer of stress makes the visit all the more enjoyable. Thanks for all the great feedback, everyone! I’m so glad people have been finding the post useful. Wow, Philip Roth’s passing really hit me hard. It marks the end of an era in American letters. He never wanted to be pigeonholed as a “Jewish” writer. But for many in my generation and the generation before mine, he gave American Jews a new vernacular to express our identity. He was, first and foremost, an American. And he was also a model of the immigrant experience here and a role model for the American intellectual, socially and politically engaged without ever losing sight of literature’s greater purpose and human calling. There have been so many great tributes published over the last 24 hours. But one of my favorites is this one by Roger Cohen for the New York Times. The passage says so much about my parents’ generation and it says so much about the world I grew up in. His humor taught us how to laugh at ourselves, even when the world seemed (and seems) to be crumbling around us. Enjoy the Memorial Day long weekend, everyone! We’ll be playing music, drinking Bele Casel Prosecco Col Fondo, and raising a glass to Roth at our house if you care to join in… have a great weekend and a great summer. Thanks for being here. ← Nature doesn’t refine sugar. But refined sugar goes into your sparkling wine.